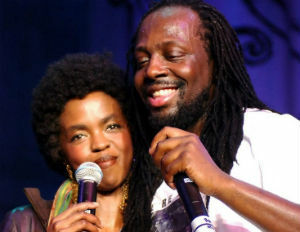 Wyclef Jean, who has been pretty candid about his ill-fated affair with his former Fugees bandmate Lauryn Hill in recent months, said in a new interview, that their relationship was fueled in part by his “Caesar complex” and that he was “devastated” to learn that he was not the father of the singer’s child. “My African King ‘I can have five, six women at a time,’ and then being a rock star…at the time, these are all the components that lead you blind and make you think you own the world,” Jean told NPR’s Tell Me More. “And then karma strikes.” Jean was involved with his current wife during his affair with Hill. Hill has earned a reputation for sometimes erratic behavior, like being chronically late to performances and getting into testy exchanges with concert-goers. The Grammy-winning singer is facing possible jail time after she pleaded guilty this summer to charges that she hadn’t paid taxes for years. Read More at NPR’s Tell Me More.